Netherlands – AltusHost (www.altushost.com), a Netherlands-based Web Hosting provider with a global reach of international clients announced this week that a lifetime 15% discount on all of the company’s VPS services will be extended to anyone with a current account as well as any new subscribers who wish to take advantage of the savings. The discount is open to clients using all server platforms including Linux and Windows, use COUPON: 7UTVUTMD63-15OFF. The discount is permanent and will be applied even to future upgrade and downgrade orders regardless of the clients usage levels or tier of service. “VPS is a great hosting option for everyone who runs an online business,” said AltusHost Marketing Manager Goran Mirkovic. “Whether yours is a large or small business or anything in between, it doesn’t really matter. VPS is a smart solution for all types of websites – even if you are just starting a brand new one,” he said. VPS stands for “Virtual Private Server.” It offers more stability and reliability, better end-user control with a user-friendly UI control panel, and high-level security. It creates a container where client data is isolated and free from even accidental exposure to third parties. That container is easily scalable, allowing clients’ VPS needs to evolve along with their businesses. “The best part about VPS is that it provides a secure environment for you to safely collect, process and store sensitive data that. Once you decide to move to a VPS solution, chances are you will never look back,” Mirkovic said. 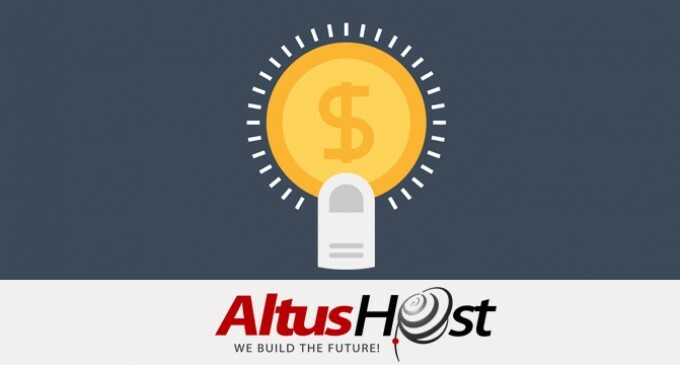 AltusHost is a Netherlands-based Web Hosting provider that has been providing quality hosting services to clients throughout Europe and beyond since 2008. Goran Mirkovic is an experienced online marketer, with a specialty is content marketing. Those interested in learning more about AltusHost and Goran’s numerous other projects are invited to follow him or Twitter and LinkedIn. “We are excited to be able to offer such an incredible service and to be able to offer it at a permanently discounted price,” Mirkovic said. This and other valuable, money-saving offers can be found at the company website: https://www.altushost.com.